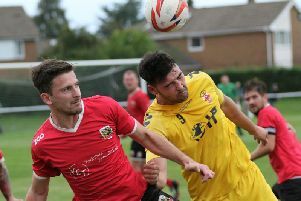 Knaresborough Town have made a superb start to the 2018/19 campaign, winning both of their opening two league fixtures and progressing in the FA Cup. The Manse Lane outfit eased to a 2-0 extra preliminary round success over Northern League Ashington on Saturday before beating Goole 2-1 in the NCEL Premier Division in midweek. “I’m really pleased, obviously this is exactly what we wanted,” manager Paul Stansfield said. “We’ve shown what we can do and it is now a case of getting the players to believe in themselves a bit more, because if we do that then we’ll do alright in this division. 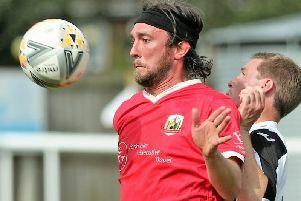 Tuesday’s clash with Goole was Boro’s opening home league game of the season. There were no goals until the 64th minute when Brad Walker set up Colin Heath to side-foot home the opener. Substitute Max Tweddle brought the Vikings level six minutes from time, but just moments later, Ben Cohen curled in a stunning effort to win the game. “Ben was brilliant on the night and that goal capped a man-of-the-match display from him,” Stansfield added. Next up for Boro is home meeting with Liversedge on Saturday, 3pm kick-off. The Cleckheaton outfit sit top of the table having won their opening two league fixtures in comfortable fashion, and Stansfield will be without a number of first-team regulars for the clash, including striker Colin Heath, wideman Rob Youhill and captain Will Lenehan.